On May 18, 1980, Mount St. Helens, a volcano located in Washington. 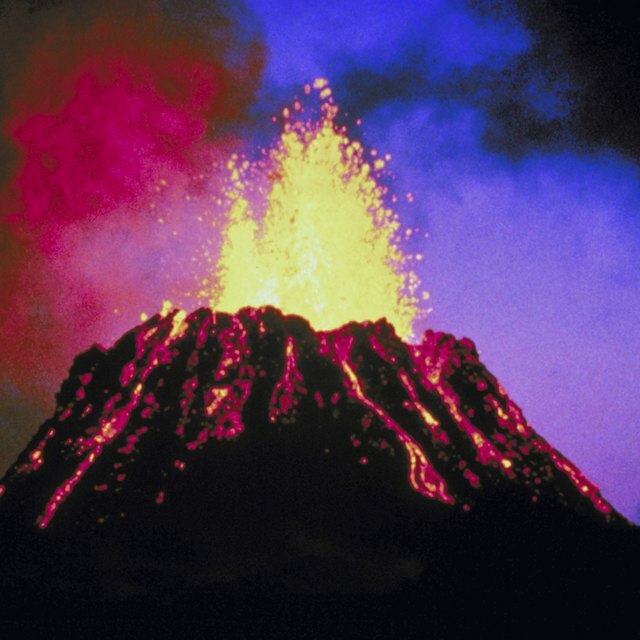 This became the most famous and widely published volcanic eruption in the United States, according to the U.S. Geological Survey. 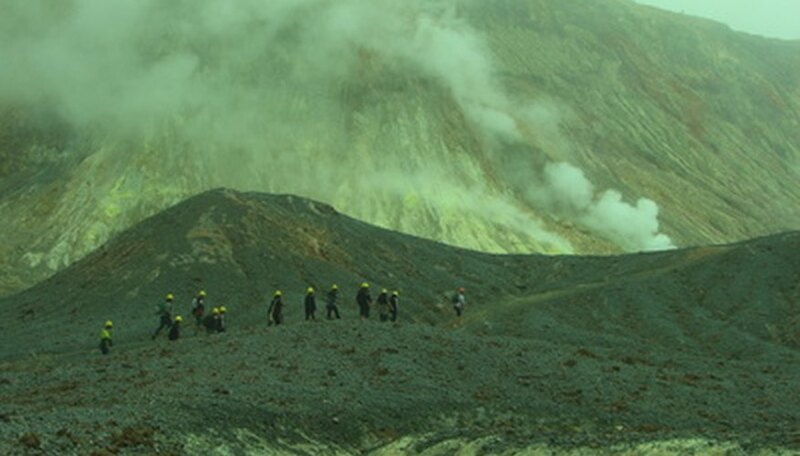 It still stands and remains an active volcano today. The best way to experience the wonders of Mount St. Helens and the surrounding area is to go there is person, but if you cannot, the next best way is to make a scale model of the volcano. By carefully molding clay, you can create an impressive and realistic facsimile. Determine the scale. Since you are making a scale model of Mount St. Helens, you will need to determine what the scale will be. Since Mount St. Helen is now 8,365 feet in elevation, it is recommended you use a scale of 1 to 8365. This means that your model will be 1 foot tall, making it 8,365 times smaller than the actual volcano. Make a large mound from the gray clay on the foamcore board. The base of this mound should be about 24 inches wide and should rise up 8 inches. The mound should be slightly elliptical, meaning that the base should be like an oval rather than a circle. This is closer to the actual shape of the mountain. Form the white clay into a ball and place it on top of the mound and press the bottom of the white clay ball into the top of the mound, blending the two colors evenly so the gray clay gradually mixes into the white. The top of the volcano model will still be white, the center a mottled light gray and the bottom gray. The model should also now be 12 inches high. Press your fist into the center of the white clay at the top of the model to create the now-famous caldera in the volcano. Press down until you can see the gray clay under the white. Build up the sides of the caldera so that its shape appears most like the Mount St. Helens of today. Use a picture as a guide. Crumple the 1-foot sheet of aluminum foil into a loose ball, then unravel it. Press this crumpled foil sheet into the sides of the volcano model to give it a rough, rock-like texture on all sides. Press the trees and animals into the model around the base of the volcano. If desired, you could turn this into an "active" volcano by building the model around a 16.9 oz. bottle filled with 3 tbsp. of baking soda, a few drops of dish soap and 1/2 cup water. Leave the mouth of the bottle exposed. Pour 1/2 cup vinegar into this bottle in the volcano. It will create a foamy eruption. Jeremy Cato is a writer from Atlanta who graduated with Phi Beta Kappa honors and an English degree from Morehouse College. An avid artist and hobbyist, he began professionally writing in 2011, specializing in crafts-related articles for various websites. Cato, Jeremy. "How to Make a Scale Model of Mount St. Helens' Volcano." Sciencing, https://sciencing.com/make-mount-st-helens-volcano-6392160.html. 25 April 2017.